Item: CVA 99-1228 - "Going out of business" sale and crowd at W.S. Charlton Company Ltd. Item : CVA 99-1228 - "Going out of business" sale and crowd at W.S. 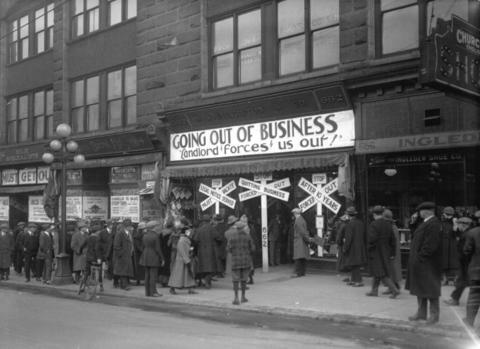 Charlton Company Ltd.
"Going out of business" sale and crowd at W.S. Charlton Company Ltd. Photograph shows the New York Block at 658 Granville Street and Ingledew Shoes at 666 Granville Street.